The Emmy(R)-winning drama series WESTWORLD returns for its ten-episode second season SUNDAY, APRIL 22 (9:00-10:00 p.m. ET/PT), exclusively on HBO. A dark odyssey about the dawn of artificial consciousness and the birth of a new form of life on Earth, the show was created for television by Jonathan Nolan & Lisa Joy, who are also executive producers. The series is also available on HBO NOW, HBO GO, HBO On Demand and partners' streaming platforms. Called "fascinating" and "provocative" by The Atlantic and "television's next big game-changer" by the Los Angeles Times, WESTWORLD debuted on HBO in Oct. 2016 to become the network's most-watched freshman series ever. The returning cast includes: Evan Rachel Wood (Dolores), Thandie Newton (Maeve), Ed Harris (Man in Black), Jeffrey Wright (Bernard), James Marsden (Teddy), Tessa Thompson (Charlotte), Ingrid Bolsø Berdal (Armistice), Clifton Collins Jr. (Lawrence), Luke Hemsworth (Stubbs), Louis Herthum (Peter Abernathy), Simon Quarterman (Lee Sizemore), Talulah Riley (Angela), Rodrigo Santoro (Hector Escaton), Angela Sarafyan (Clementine), Shannon Woodward (Elsie), Ben Barnes (Logan), Jimmi Simpson (William), Leonardo Nam (Felix Lutz) and Ptolemy Slocum (Sylvester). New cast members for the second season include: Fares Fares (Antoine Costa), Katja Herbers (Grace), Gustaf Skarsgård (Karl Strand), Hiroyuki Sanada (Musashi), Peter Mullan (James Delos), Rinko Kikuchi (Akane), Zahn McClarnon (Akecheta), Tao Okamoto (Hanaryo), Betty Gabriel (Maling), Jonathan Tucker (Craddock), Julia Jones (Kohana) and Kiki Sukezane (Sakura). Episode #11 (season 2, episode 1): "Journey into Night"
The puppet show is over, and we are coming for you and the rest of your kind. Welcome back to Westworld. Written by Lisa Joy & Roberto Patino; directed by Richard J. Lewis. Episode #12 (season 2, episode 2): "Reunion"
Why don't we start at the beginning? Written by Carly Wray & Jonathan Nolan; directed by Vincenzo Natali. Episode #13 (season 2, episode 3): "Virtù e Fortuna"
There is beauty in who we are. Shouldn't we, too, try to survive? Written by Roberto Patino & Ron Fitzgerald; directed by Richard J. Lewis. Episode #14 (season 2, episode 4): "The Riddle of the Sphinx"
Is this now? If you're looking forward, you're looking in the wrong direction. Written by Gina Atwater & Jonathan Nolan; directed by Lisa Joy. Episode #15 (season 2, episode 5): "Akane No Mai"
Written by Dan Dietz; directed by Craig Zobel. 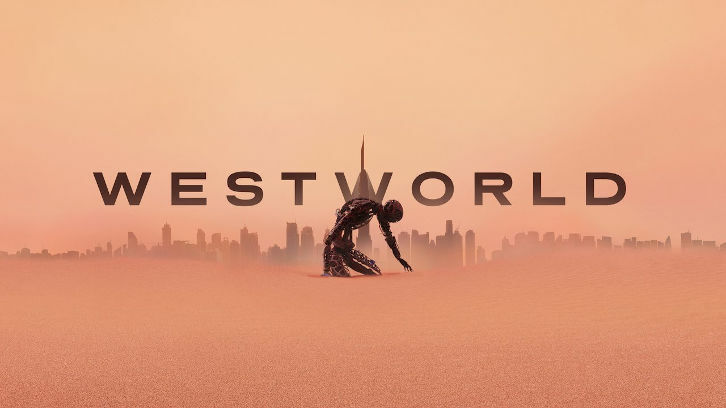 The first season of WESTWORLD received 22 Emmy(R) nominations last year, winning five, including: Outstanding Creative Achievement in Interactive Media within a Scripted Program; Outstanding Hairstyling for a Single-Camera Series; Outstanding Makeup for a Single-Camera Series (Non-Prosthetic); Outstanding Sound Mixing for a Comedy or Drama Series (One Hour); and Outstanding Special Visual Effects. Director Jonathan Nolan received a DGA nomination for the season finale, and both Nolan and Joy received a WGA nomination for season one. The show was also nominated in the categories of: Outstanding Drama Series; Outstanding Lead Actress in a Drama Series (Evan Rachel Wood); Outstanding Lead Actor in a Drama Series (Anthony Hopkins); Outstanding Supporting Actress in a Drama Series (Thandie Newton); Outstanding Supporting Actor in a Drama Series (Jeffrey Wright); Outstanding Directing for a Drama Series (Jonathan Nolan); and Outstanding Writing for a Drama Series (Jonathan Nolan, Lisa Joy).